Supersonic is Trinity’s Children’s Pop & Gospel Choir, and unlike traditional church choirs, we rock! 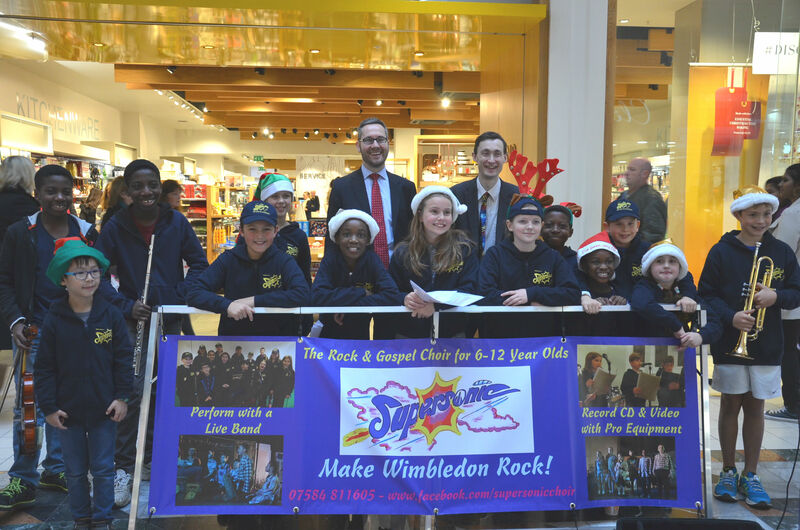 For children aged 6-12, we’re an ambitious, exciting group who love singing rock, soul and gospel, and even have our own live band who accompany us when we perform. Our key performances include a full-length summer stage musical, Christmas family show with local schools, plus singing at Centre Court Shopping Centre and other local events. We provide many more solo opportunities than most other groups, plus if you play an instrument, the chance to play it in our performances too. We record our performances on mp3 and mp4, release a CD twice a year and have our own Facebook page and Youtube channel. We learn detailed music theory & notation – in a really positive, nurturing and fun environment. We also work with songwriters on creating our own original hits and regularly collaborate with pro-standard adult singers. We offer all this for just £1 a session, and complimentary team gear and refreshments at every rehearsal, making us much better value than most comparable local classes. We rehearse on the 2nd and 4th Saturdays of each month, between 16:00 and 18:00 in Trinity’s own facilities in the Mansel Road Centre. COME & JOIN US TODAY – contact Andrew Davies, Trinity’s Director of Music, on 07584 811605. You can visit, like and share more about us at: www/facebook.com/supersonicchoir.